Забрать можете на ближайшей для Вас базе. Leave the application and we will contact you. 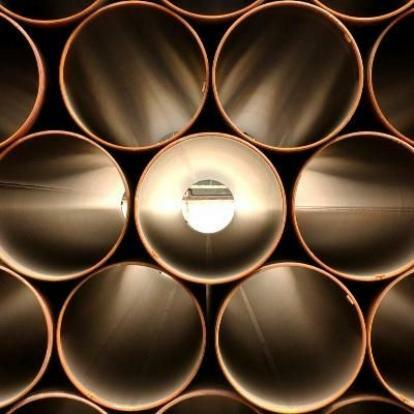 Our company sells used tubes/pipes which have undergone effective renovation procedures. We sell tubes/pipes to both businesses and individuals. In our catalogue you can choose and then buy used metal tubes, used pumping and compression pipes, as well as large-diameter used tubes. This offer is more attractive for companies with wide range of business activities. Company “NefteGazKomplektatsiya” is a reliable partner with unassailable reputation and constantly expanding client base. We guarantee attractive prices and strict compliance with the contract terms. We offer high-quality products at a low price. If you want to save money, it is wise to use renovated tubes/pipes. Besides pricing strategy that is loyal to customers, we also offer wholesale discounts. Wide range of tubes/pipes of different diameters, which you can easily find in the catalogue, helps you to choose the one you need. By accepting our company’s offer you can buy small-, medium- and large-diameter tubes/pipes, which have undergone effective renovated procedures. To make it more convenient for clients the company “StroyNefteGaz” has widen its chain of storages, which are now situated in 29 cities of the Russian Federation. We shorten the waiting time for the purchased materials being delivered, and we do value your time. In our catalogue you can find a wide variety of tubes/pipes with different diameters, wall thickness, materials, target purpose and condition. You can find whatever you need. We offer different gas pipes, including high density polyethylene gas pipe, which is used underground, and used steel tube for under- and overground use. Furthermore, we have surplus pipes. They are of a better quality than the newly renovated. We strictly comply with the terms of agreement concerning delivery of tubes/pipes, because we understand how important it is to get the needed amount of the product. For our Russian customers we are happy to offer a wide chain of well-equipped storages.